Volkswagen has released its newest commercial to hit the airwaves, with the spotlight on the all new Jetta’s safety. Following the release of 2013 Top Safety Picks from the Insurance Institute for Highway Safety, the Volkswagen Jetta received the a Top Safety Pick for its ratings in frontal crash, side impact and rollover, and seat/head restraints. Volkswagen will introduce its safety claim in this new commercial featuring a new born baby and his first experience in a Jetta. You can see the video here. The Jetta sedan offers four different engines, a 115-hp 2.0-liter gas four-cylinder, a 2.5-liter gas five-cylinder generating 170 horsepower, a 140-hp 2.0L TDI clean-diesel four-cylinder for those looking for maximum fuel economy, and a 200-hp 2.0-litre turbo four-cylinder in the GLI. Buyers that go with either gas engine can choose between a five-speed (six-speed in wagon) manual transmission or six-speed Tiptronic automatic; while TDI and GLI buyers select from either a six-speed manual transmission, or a six-speed DSG auto with Tiptronic. All Jetta’s are standard with safety features such as six air bags, four-wheel anti-lock brakes, electronic stability program, tire pressure monitoring, brake assist, seatbelt pretensioners, traction control and head restraints at all seating positions. To test drive a new 2013 Volkswagen Jetta visit David Maus VW South on Orange Blossom Trail or call 407-581-4321. Motorauthority.com just leaked photos they have obtained of the new 2014 Volkswagen GTI (MkVII). The spy shots look very similar to the concept shown last year at the Paris Auto Show, the pictures the website found may be “fakes” or renderings. 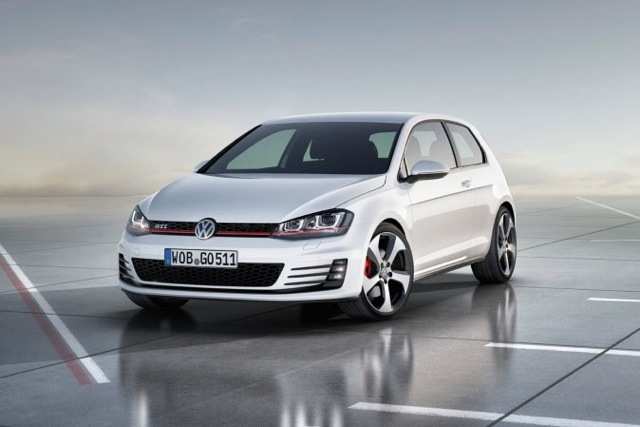 What the pictures do show is that the GTI will maintain its current style but with a crisper exterior and revised interior to give it a new appeal but not be totally different. 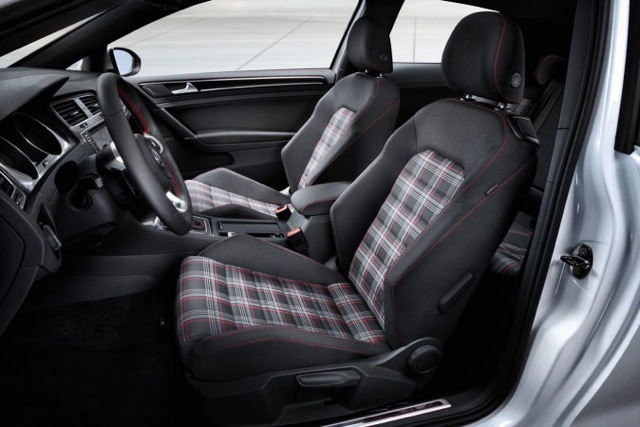 No details accompanied the photo leak, but MotorAuthority.com predicts the 2014 VW GTI to use a 2.0-liter turbocharged four-cylinder engine rated at about 222 horsepower–a significant rise from the current 200-horsepower model. Either way it will be a hot looking car! To test drive a 2013 VW GTI visit David Maus Volkswagen on South Orange Blossom Trail today! 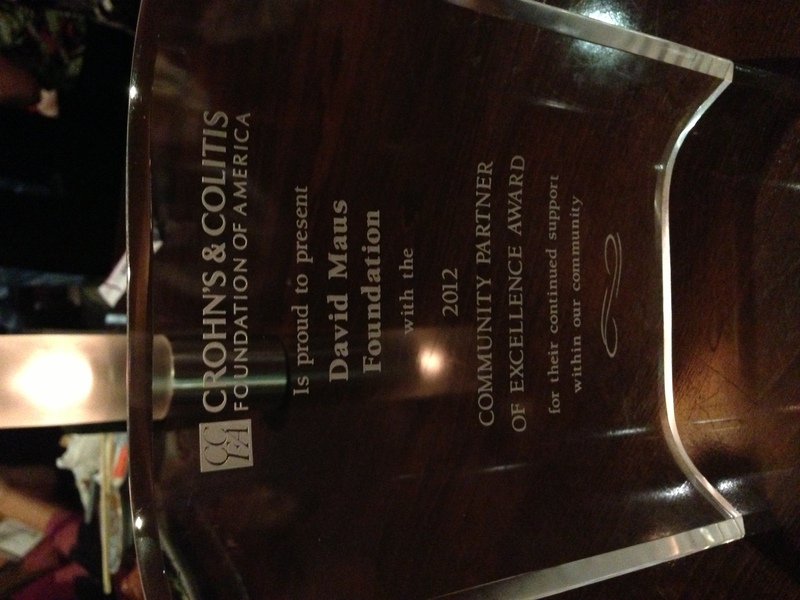 The David Maus Foundation was honored Monday night with a Community Partner Excellence Award given by the Central Florida Crohn’s and Colitis Foundation. 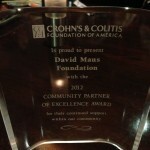 The David Maus Foundation donated $25,000 in 2012 during the 8th Annual Celebrity Golf Tournament to the Crohn’s and Colitis Foundation to help fund Camp Oasis, a camp for children with this physical condition. The David Maus Foundation was founded in 2004 and since then has raised over $850,000 for local charities dedicated to children with life-threatening illnesses. Dr. Matt Leavitt of Advanced Dermatology and Cosmetic Surgery has been a title sponsor of our premier golf event for the past five years. 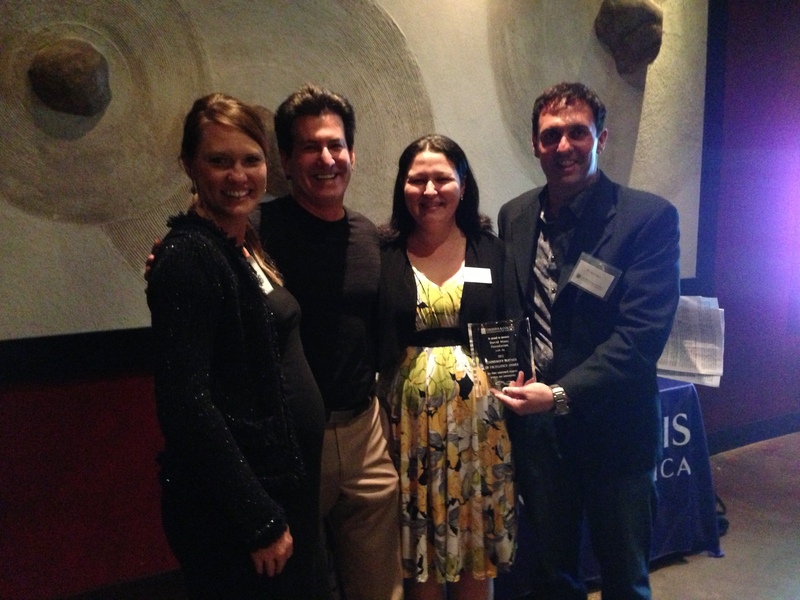 “We were honored to receive such an award. We hope to continue helping children at Camp Oasis and further research to cure this disease,” said David Maus, Founder and Chairman of the David Maus Foundation. 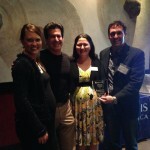 For more information on how you can help the Crohn’s and Colitis Foundation visit www.ccfa.org. Volkswagen unveiled the VW Beetle GSR or also known as the Gelb-Schwarzer Renner at the Chicago Auto Show last week, which in German stands for Yellow Black Racer. This will be the first time the GSR will be sold on U.S. soil, the GSR was launched in 1972 and was so popular that it sold out in Germany in just two months. Only 3,500 unites will be built and will be sold worldwide. 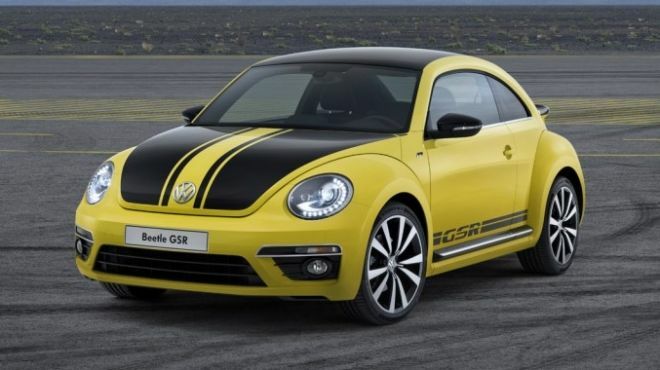 The new model will be known as the 2014 Volkswagen Beetle GSR, and it will be the most potent Beetle in the lineup when it goes on sale in the latter part of the year. It will feature a turbocharged 2.0-liter four-cylinder engine good for 210 horsepower and 207 pound-feet of torque. This engine will also be fitted to the Jetta GLI and Beetle Turbo, adding 10 additional horses to their output. 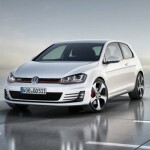 Volkswagen claims a 0-60 mph time of 6.6 seconds and electronically limited top speed of 130 mph. Volkswagen also took the opportunity at the Chicago Auto Show to introduce its new sporty R-Line lineup of the new Tiguan R-Line and Touareg R-Line. The 2013 Beetle Convertible was also on display with the R-Line series to be added to the 2014 lineup. The R-Line lineup features a package of extras that include a sporty bumper package, 19-inch aluminum wheels, sports-tuned suspension, a multi-function leather steering wheel, stainless-steel door sills and the Fender audio system. To read more about the features of the new Beetle GSR, click here. 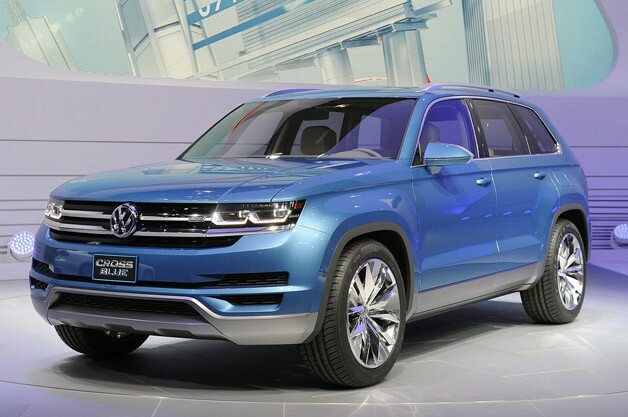 Volkswagen made a global debut at this year’s Detroit Auto Show with an all new model for the U.S. and Canada market – the VW CrossBlue. The CrossBlue features a highly innovative hybrid powertrain that mates a Clean Diesel engine with two electric motors. It has an estimated fuel economy rating of 89 mpg combined in electric mode and 35 mpg as a hybrid. As well as offering excellent economy for a mid-size crossover SUV, it has impressive power. The CrossBlue produces up to 305 horsepower and goes 0 to 60 mph in just 7.2 seconds. The interior is a key part to any crossover utility vehicle and the CrossBlue’s is very luxurious. The concept car has six individual seats in three rows but in a production version, the second row would have the option of three seats to make it a full seven seater. Behind the third seating row is a spacious cargo area. With a fully folding front passenger seat along with the third and second row stowed, you can accommodate objects up to 118 inches long. This is perfect for the weekend run to the home improvement store. Also inside you’ll find leather and wood to help finish the interior. Positioned on the center console is a 10.2 inch touchscreen that is used to control all infotainment functions. The screen accesses the status of the hybrid system as well. Back to the entertainment system…to ensure that second and third row passengers can fully enjoy audio, video, and online entertainment, the CrossBlue has done something special. IPad mini devices have been integrated as monitors in the front row head restraints. Second and third row occupants also have full control over the climate-control system in their part of the vehicle. As soon as the driver releases the accelerator pedal, the engine and electric motors are decoupled from the drivetrain and the engine is shut off. This is provided that the battery is sufficiently charged. This is also referred to as ‘coasting’ and no emissions are generated. The CrossBlue, in concept form, will offer better efficiency than anything else like it on the market. To test drive any Volkswagen vehicles come into David Maus Volkswagen South on Orange Blossom Trail today! 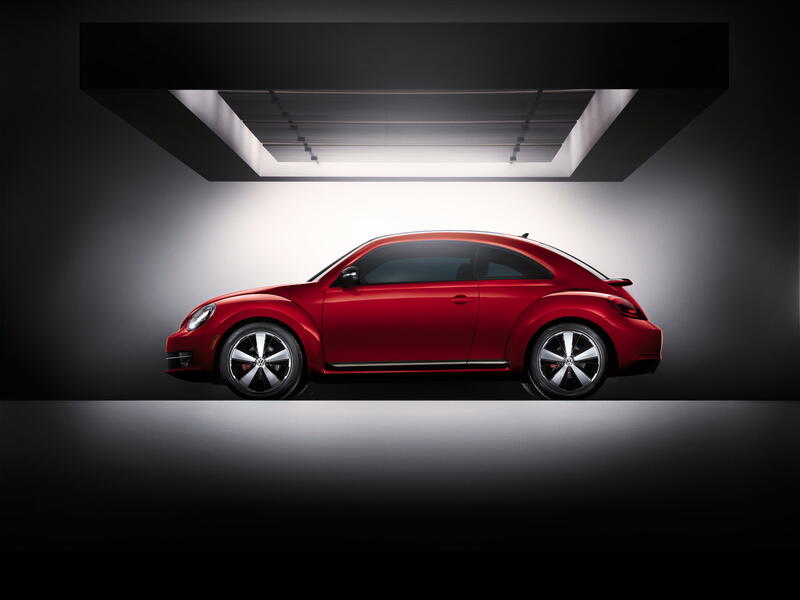 You may think you’ve seen the Beetle but you haven’t seen the 2013 Volkswagen Beetle Convertible. It’s different than the cars that have come before it. First you have a choice of engines. The 2013 Volkswagen Beetle Convertible comes standard with a 2.5L 170-hp engine that gets great gas mileage…27 highway/21 city. Also available are two other engines–the 2.0 TDI 140-hp Diesel that gets even higher gas mileage…41 highway/28 city. This is the first diesel convertible available in the U.S. And if you want some muscle with your Beetle, get the 2.0L 200-hp Turbocharged gasoline engine. The gas mileage is 30 highway/22 city and it goes 0-60 in 6.3 seconds. That’s quicker than the Mercedes Turbo SLK250. The power convertible top stows itself in just 9.5 seconds at the touch of a single button. Best of all, it’s strong enough to open or close at speeds of up to 31 mph. It also has a rear glass window defrost function for when the top is up. The interior adds welcome rear seat space and the wider body adds shoulder room. The instrument panel is crisp and clean and you’ll notice that VW has brought back the color matched dashboard. If you get a red car, you can have a red dash. Same with yellow, blue, silver, black or whatever color you choose. The extra sporty multi-function steering wheel is available with integrated controls for the entertainment system. It also has a control for average trip speed and miles to an empty gas tank. The available touchscreen stereo has an in-dash 6 CD changer, AM/FM radio, eight speakers and a three month trial subscription to SiriusXM Satellite Radio. 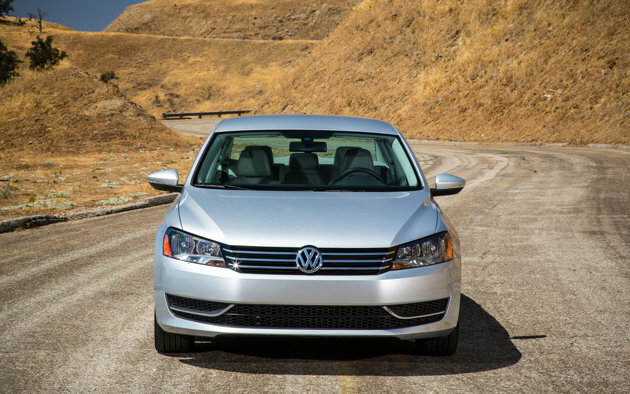 Safety is an important concern for the 2013 Volkswagen Convertible. Behind the head restraints are two hidden metal beams. They’re automatically deployed as soon as a rollover situation is detected. Airbags are part of the safety feature and after they have been deployed in a collision, the Intelligent Crash Response System (ICRS) automatically unlocks all doors, disables the fuel pump, and turns on the hazard lights. One last thing, the Beetle Convertible will launch with three ‘decades’ special editions. The ‘50’s’ (black over tan leather with moon-look wheels), ‘60’s’ (denim blue over two-toned blue-accented black leather), and ‘70’s (toffee brown over tan leather with chrome-disc wheels). Visit David Maus Volkswagen South on Orange Blossom Trail to test drive a new 2013 Beetle Convertible today! Think Blue is a Volkswagen campaign of sustainable transportation, and focuses on designing and producing cars that are environmentally sound and a pleasure to drive. The ‘Think Blue Factory’ is proof of Volkswagen’s worldwide commitment to the environment. manufacturing plant in Chattanooga, Tennessee. The plant opened in May 2011 and serves as Volkswagen’s North American manufacturing headquarters. With this project Volkswagen was not only committed to building a high quality product, but to build it in a remarkably innovative green facility. Let’s fill in some blanks. In the late 1960s, early 70s, Chattanooga was deemed one of the dirtiest cities in the United States. The country, city and state worked very hard to turn their green program around to be one of the greenest cities now in the US. Volkswagen wanted to be part of this location and their green thinking. 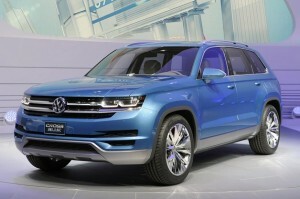 How has Volkswagen impacted on Chattanooga’s economy? Volkswagen has created more than 3,500 jobs at the plant. It is expected that some 9,500 jobs will be created within the supplier pipeline and as a result of secondary employment in the region. According to independent studies, the plant is expected to generate $12 billion in income growth. What are some of the things that this Volkswagen plant does to help the environment? Decreasing energy and fresh water consumption are priorities. They use the most efficient electronic motors throughout the facility which is a 10% energy saving compared to a standard plant. They also use rechargeable battery powered as opposed to air powered tools. Rainwater is collected in several areas on the roof. This water is then used to help in cooling the welding process in the body shop. The painting process has already helped to cut the CO2 emissions by around 20%. Wastewater treatment, waste disposal and groundwater restoration are all performed in accordance with Leadership in Energy and Environmental Design guidelines. All of this passion for environmental planning and execution was recognized and awarded with a Platinum status for their Leadership in Energy and Environmental Design (LEED). This is the top certification of LEED, which is even more impressive considering the Chattanooga site is the first manufacturing facility in the world to receive such a status. You can test drive a Volkswagen at David Maus Volkswagen North on Lee Road, or David Maus Volkswagen South on Orange Blossom Trail. Both in Orlando, Fl.